Portland, Oregon was one of the stops on our road trip vacation back in January of this year. It is such a cool city packed with so many great food spots! We stayed in the Pearl District, and a lot of them were within walking distance from our hotel. 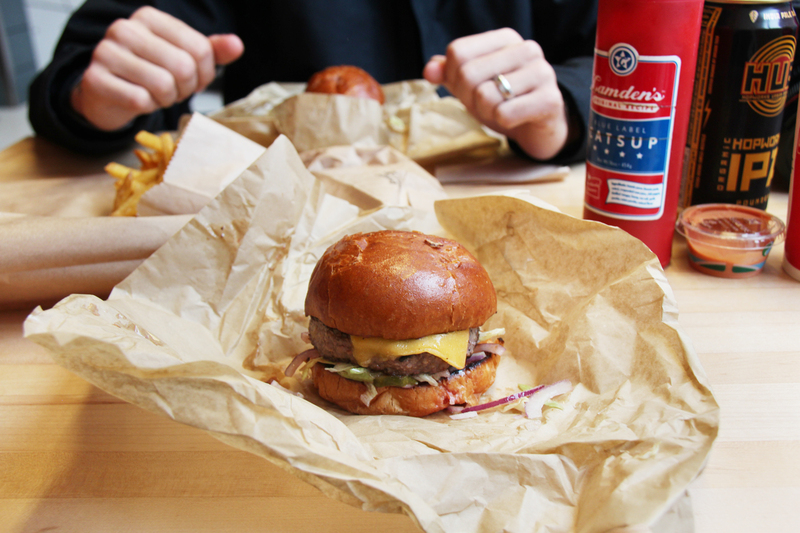 One of my favorites we happened to come across was Little Big Burger. And their name really was the perfect description! The burgers were smaller than ones we were used to, but they had big flavor! They allow you to customize them with local cheeses and organic veggies, and they also had truffle fries (yum!) and a small selection of craft beers which was nice. It is definitely a place I'd recommend!